Hollywood’s most enigmatic star, Greta Garbo was born Greta Lovisa Gustafsson on September 18, 1905, in Stockholm, Sweden. Raised in poverty, she began working to support her family at 14. Blessed with striking looks, she parlayed a job as shopgirl for the PUB department store into a modeling and acting career. Gustafsson appeared in several films used to advertise PUB’s goods before landing a small role in an unsuccessful comedy, Peter the Tramp (1922). Eager to become a serious actress, Gustafsson won a scholarship to the prestigious Royal Dramatic Theater. After a year of study, she caught the eye of Mauritz Stiller, the best-known film director in Sweden. Stiller cast her as the lead in The Saga of Gösta Berling (1924) and began to manage every aspect of her professional and personal life. Teaching her what to say, how to act, and how to think, he transformed the unsophisticated Greta Gustafsson into the worldly Great Garbo, the stage name she began using in 1923 at Stiller’s insistence. Due the success of Gösta Berling in Germany, German director G. W. Pabst asked Garbo to star in The Joyless Street (1925). In the grim film, she played a professor’s daughter pressured to become a prostitute in post–World War I Vienna. (The film also featured as an extra MARLENE DIETRICH, who would later become Garbo’s rival in Hollywood.) 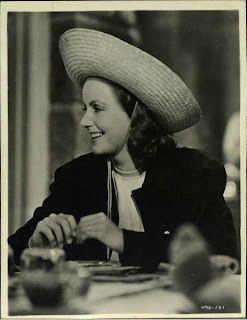 Although Street was a box-office failure, Garbo emerged from the film a favorite star of European moviegoers. In 1925, Louis B. Mayer, the head of Metro-Goldwyn-Mayer (MGM) Studios, persuaded Stiller to come to Hollywood. Stiller agreed only on the condition that MGM would also place Garbo under contract. Convinced Garbo was too plump, Mayer had little enthusiasm for his new contract player. She was cast as a femme fatale in her first two American films, The Torrent (1926) and The Temptress (1926). Stiller was set to direct the latter but was fired for insubordination. Discouraged by Hollywood, he returned to Sweden, where he died in 1928. Garbo had her breakthrough in her third film, Flesh and the Devil (1927). Like many of her later movies, the film cast her a seductress whose dangerous sexuality spells her own doom. Flesh was a great popular success, in large measure due to her passionate scenes with John Gilbert, then the reigning male lead in American movies. Press reports about their scorching offscreen affair delighted MGM and buoyed ticket sales. Garbo, however, was far less enthusiastic about the publicity. Naturally shy, she refused to give interviews or be photographed, maintaining that “my private affairs are strictly private.” Calling her the “Swedish Sphinx,” MGM publicists used her aloofness as a marketing tool to highlight a mysterious quality about Garbo that had already attracted audiences. With the success of Flesh, Garbo demanded a raise. Mayer balked, so she returned to Sweden for seven months. Desperate for another Garbo film, MGM finally relented. Garbo saw her salary increased form $600 to $5,000 a week. The story only added to her popular appeal: That she was willing to walk away from stardom became part of her mystique. To Garbo, as important as her salary increase was the greater control she now had over her career. From that point on, MGM gave her the best directors and the most popular male leads. Cinematographer William Daniels was hired for nearly all her American films. 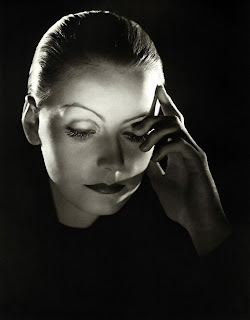 His delicate use of light and shadow photographed Garbo’s beauty to its best advantage. Garbo’s silent films continued to draw crowds. MGM, however, worried that, because of herheavy Swedish accent, sound pictures would end her career. The studio kept her in silents for two years after talkies were first introduced. Finally, MGM cast her in a sound adaptation of Eugene O’Neill’s Anna Christie (1930), chosen because she could play the role of a young Swedish immigrant. The MGM publicity machine came up with the slogan “Garbo Talks” to advertise the film. Adding to the anticipation, Garbo did not appear until well into the picture. 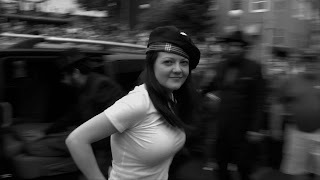 The camera lingered on her for nearly a minute before she uttered her first line, “Give me a whiskey. Ginger ale on the side. . . . And don’t be stingy, baby.” Rather than being turned off by her accent, the public responded to her husky voice as a welcome complement to her exotic, sophisticated good looks. Anna Christie won Garbo the first of four best actress Oscar nominations and brought her to the height of her stardom. Over the next seven years, she made 11 pictures, including the classics Queen Christina (1933), Anna Karenina (1935), and Camille (1937). Her onscreen charisma made her the best-paid actress in Hollywood and allowed her to steal the all-star Grand Hotel (1932) from such heavyweights as John Barrymore and Wallace Beery. In the film, she spoke the line that became her trademark: “I want to be alone. ”In 1939, Garbo insisted that MGM cast her as a Russian spy in Ninotchka (1939), a comedy directed by Ernst Lubitsch. Her previous American films had all been dramas, most featuring her as the passionate heroine in a tragic romance. Drawing on their past advertising campaign, MGM announced Garbo foray into comedy with the slogan “Garbo Laughs.” The film, which effectively lampooned Garbo’s ice-queen image, was a great popular success. Her next attempt at comedy, however, was a disaster. Two-Faced Woman (1941) had Garbo sorely miscast as an American and came under attack by the Legion of Decency, a committee of Catholic bishops, for seeming to condone adultery. It marked the end of Garbo’s film career. Having invested her earnings well, Garbo turned her back on Hollywood and moved to New York City. For the rest of her life, she denied all requests for interviews. She enjoyed a circle of friends and lovers—both male and female—but quickly banished anyone who talked about her to the press. Although often called a recluse, Garbo went on daily walks sporting dark glasses and a large hat. For decades before her death on April 15, 1990, spotting the great Garbo on the street was a sport enjoyed by her fans and neighbors. Daum, Raymond W., and Vance Muse. Walking with Garbo: Conversations and Recollections. New York: HarperCollins, 1991. Sands, Frederick, and Sven Broman. The Divine Garbo. New York: Grosset & Dunlap, 1979. Camille (1937). Warner Home Video, VHS, 2000. Grand Hotel (1932). Warner Home Video, VHS, 2000. The Joyless Street (1925). Kino Video, VHS, 1990. Ninotchka (1939). Warner Home Video, VHS, 2000. Queen Christina (1933). Warner Home Video, VHS, 1998.